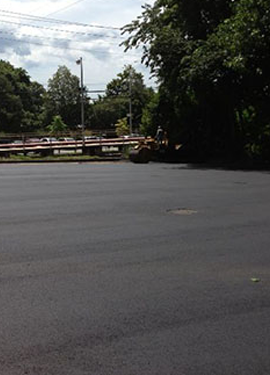 DuMor Construction inc. is the asphalt contractor in Huntington that businesses always contact for their paving needs. 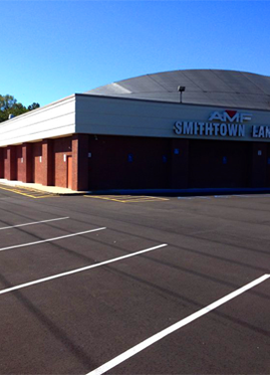 We understand how important is to have a smooth, durable, stable, and attractive parking lot to businesses, which is why we provide parking lot repairs, installations, and maintenance for our commercial clients. We have been in the asphalt industry for over thirty years. Our dedication and knowledge allows us to always provide superior services in Huntington. We are the parking area specialists. We can solve any parking lot problems you might have. If you need more information regarding your next project, be sure to give us a call. Huntington is a town that is located on Long Island’s north shore. The town was first founded in 1653, and today the population is 203,264. Richard Holbrook, Daniel Whitehead, and Robert Williams were from Oyster Bay, and in 1653 the three men purchased land in the area from the Matinecock Tribe. The area was first called “First Purchase,” and then changed to Huntington. There are several different museums in the town that visitors should consider taking a trip to. The Cold Spring Firehouse Museum and the Suffolk County Vanderbilt Museum shows the rich history in the town. The Huntington Lighthouse, Oheka Castle, and the Colonial Arsenal are historic places in the town. The Huntington Lighthouse was built in 1857, and is located on the Huntington Bay. The lighthouse is open to daily tours and it is the ideal place that visitors can go and see what the town has to offer. The Oheka Castle is one of the most recognized and visited places in the world. There are thirty-two rooms and suites along with a bar, restaurant, and several gardens that every visitor will appreciate. Visitors can choose to stay at the castle, where you will feel like royalty and see the history of the castle at the same time. The Fleets Cove Beach is perfect for outdoor enthusiasts. The Fleets Cove Beach allows visitors and residents to go swimming, kayaking, fishing, and sunbathing. Visitors will be in awe with the beautiful sunset on this beach. Christopher’s Courtyard Café is the top restaurant in the town. They have an outdoor patio, delicious American dinners, and located in downtown. Finnegan’s is the oldest restaurant in the town. Finnegan’s opened in 1912 and is known for the best burgers in the state of New York. 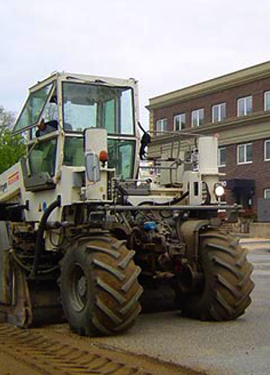 DuMor Construction can solve all your parking lot issues with our parking lot services. All work that we provide is backed with our 100% customer satisfaction guarantee. Is your parking lot suffering from cracks, potholes, and lack of curb appeal? If it is, then contact us today, so we can transform your parking lot. A few months ago we received a call from a development company that was planning on building some townhouses, and they were needing an estimate on all of the Melville asphalt paving work they were considering. We went out to the location and inspected the site, then we gave them a thorough estimate for the parking lot installation, which they were thrilled with. 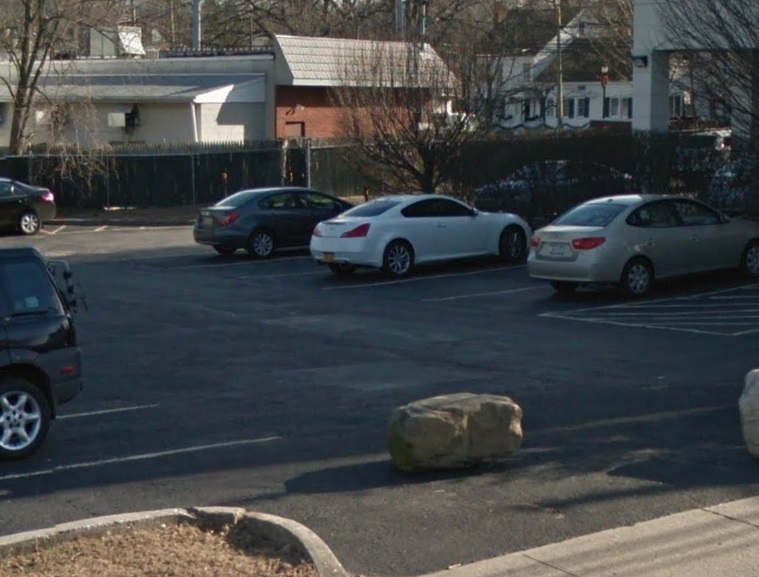 The development company called us again to let us know that we were hired for their parking lot installation and we could start on it at any time. The crew arrived on the first day for the parking lot installation in Huntington. The crew began to get the ground area prepped and ready for the installation of the parking lot. The crew removed any debris that was in the area, then they began grading and sloping, and this would ensure that the proper drainage would be done. The crew then started laying the sub base, which is crushed rock. The sub base is a very important step as it will provide the parking lot with a stable surface along with providing a barrier for frost, which will reduce any damages during the freezing and thawing that occurs in the winter. Once the sub base was laid the crew started compacting the sub base. The crew then began applying the hot asphalt mixture. The crew made sure that the appropriate thickness was laid to ensure that it would be strong and durable. The crew then compacted the asphalt with our industrial roller, then they treated the edges of the parking lot. 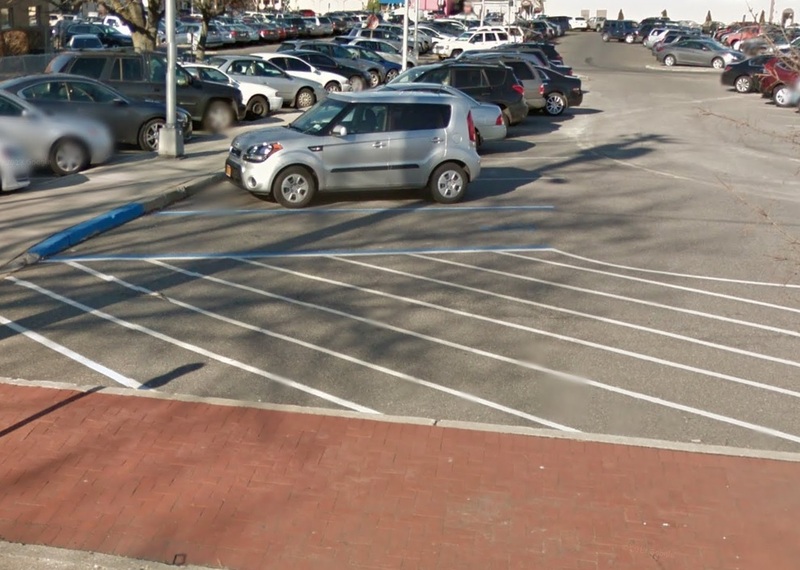 The final step was applying sealcoating, which the crew did, then they let it dry thoroughly by returning the following day so they could apply parking lot stripes. The crew showed up on the final day and began to add the parking lot stripes to the asphalt parking lot. We know the precise measurements for each stripe along with the handicap stalls too. Our crew was able to get the Huntington parking lot several days ahead of schedule, which was pleasing for the client. The client was highly impressed with our crew member’s knowledge, craftsmanship, and hardworking standards. The client must have been impressed because he contacted the office to let us know that he would definitely be using our company and crew again in the future. Our crew always goes that extra mile to ensure that each customer is pleased with our services, which is why we have been named the best paving contractor in Huntington and we plan on keeping that name by providing the best parking lot paving, maintenance, and installations that every customer will be happy with! I had my parking area done by this company. They are courteous and very professional. They worked around my employees and their cars in the parking area(during business hours)while working in the lot. I would highly recommend them to all. Dumor Construction has completed many projects over the last 20 years on my multiple commercial properties. They are very professional at what they do. I have a rule to get 3 bids before any project is awarded. Dumor makes it very hard to choose any other. They’re not always the lowest bidder but they are by far the best bidder. I find myself always going back to how they do what they say they’re going to do and never skimp on quality. Believe me, I am a very hard person to please and yet they always do. I highly recommend Dumor Construction. You will not be sorry. They are also awesome at snow removal. When a storm is on its way I can sleep easy knowing that my lots will be clean and dry before any other lots in my area. I have been retaining Dumor for over 3 years for various projects from small to large. Parking lot snow removal, re-paving, and striping. They are extremely reliable and honest on there price quotes. As a property manager for more than 300 commercial tenants, they make me look good to my upper management and property owners. Very satisfied with their service and recommend them highly. 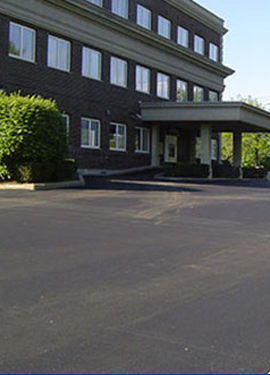 DuMOR Construction Inc. is Long Island’s ideal commercial asphalt paving contractor. We are family owned and operated, taking pride in every job we do for our customer’s as if it were our own.